India has not been a leader in electric vehicles unlike solar energy where India is set to become the 3rd largest market in the world. Only 22,000 Electric Vehicles were sold in India last year compared to more than 500,000 Electric Vehicles sold in China and more than 150,000 in the U.S. Electric Vehicle two wheeler are already quite competitive compared to the normal petrol fueled two wheelers, however lack of manufacturing, awareness and government support has led to the industry not growing. In comparison China has more than 200 million two wheelers powered by electricity. 3 wheeler e-rickshaws are only now making a mark in India due to the low cost Chinese products. It only costs around USD 1,000 to buy a e-rickshaw leading to their fast growth in sales in key Indian cities such as Delhi and Noida. Despite the government’s initial apathy, now efforts are being made to fast track the sales of Electric Vehicle cars in India. Ola which is the largest cab company in India backed by the Japanese giant Softback has plans to run 1 million Electric Vehicle taxis in India. As a pilot project, Ola plans to run around 300 cabs in Nagpur which is the home city of India’s transport minister Nitin Gadkari. The Indian government has woken up to the potential of Electric Vehicles recently and has formed a high powered committee to increase the adoption of Electric Vehicles in India. As per a source, the government of India is going to help Ola by installing 200 charging points across the city of Nagpur. It is a good step in my view as large companies have the capital and human resources to adopt a new technology much faster than normal citizens. 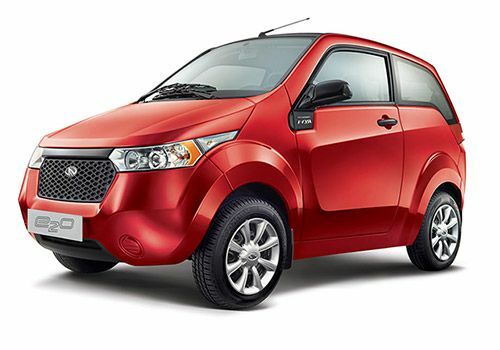 The ability to ride an Electric Vehicle will also encourage Indian automobile users to buy Electric cars of their own. Only 2000 EV cars were sold in India last year. This needs to increase dramatically to meet India’s pollution and climate change objectives. A welcome initiative. Best of lucks to all who embrace electric vehicles.